The middle of mellow autumn, October month, set in motion holiday season starting from the scary fest of Halloween. All e-Commerce bloggers tried to make their articles more topical, but still the greater popularity another part of specific articles has gained. Are you bearing to find out which posts have invited attention of community? Look under the hood of most popular October e-Commerce articles to get well-prepared for money-making time. Maybe, you already want to go level up and attract international audience to your web store? Kissmetrics blog has presented Lost in Translation article, actually, explaining how not to get in a trap with adaptation of content on website and social media. How to adjust your products? How to use linguistic options to reach target audience? And what is role of SEO considering international marketing? The way out is fully described in this post with all strategies and highlighted points. The Internet and social media give people an opportunity to share an information about their life and experience...even shopping ones. But what if there appear complains and unsatisfied mentions about your store? Nowadays brand reputation depends on how it solves these issues and treats unhappy customers. However, there is a secret that can help to convert them into loyal fans of your business. Check 5 Ways to Turn Your Unhappy Customer into a Valuable Resource to reveal the mystery. 19 Explosive Content Marketing Tips for eCommerce Stores will be a hand of help for merchants that neglect the power of word. Check a set of useful hints including headlines and productive content creation, promo strategy organization. Also, as a powerful form of marketing is referral marketing that is called word-of-mouth one. Purchasing based on someone’s recommendation and opinion can be your key to success. Therefore, Shopify has published 7 Tactics to Launch Your Own Referral Campaign showing three essential why’s of using it together with examples of effective ones. Moreover, there are presented steps for creating a powerful promotional engine for your profit-making. E-mail marketing is an important niche as well, so its optimization appears to be a crucial factor for campaign success. Recently GetElastic posted an infographic which illustrates in clear and interesting manner the way to enhance email campaigns. Do you feel that it is exactly what you have been looking for? Then explore Optimizing Email Through The Customer Journey infographic to become a broad-minded guru. Another infographic in our October chart is a compelling illustration of the best tips on optimal length for headlines, tweets, blog posts, slideshows, Youtube videos, etc. Thanks to SumAll e-Commerce community has a possibility to get these useful insights and stop scratching the head over ideal number of symbols in content. The style of the infographic is funny designed with animals and called The Internet Is a Zoo: The Ideal Length of Everything Online. So, conceiving information with such material appears to be an easy and pleasant activity. Rise of digital sales is just round the corner and web store owners need to use each and every marketing opportunity to benefit more. Use social media as one of the methods to let people know about your activity and promotions. Still doubts how to organize it appropriately and effectively? Discover 10 Tips for Using Social Media in Holiday Ecommerce Marketing to enjoy your business. It was not easy to choose best articles among the variety of useful and engaging information. 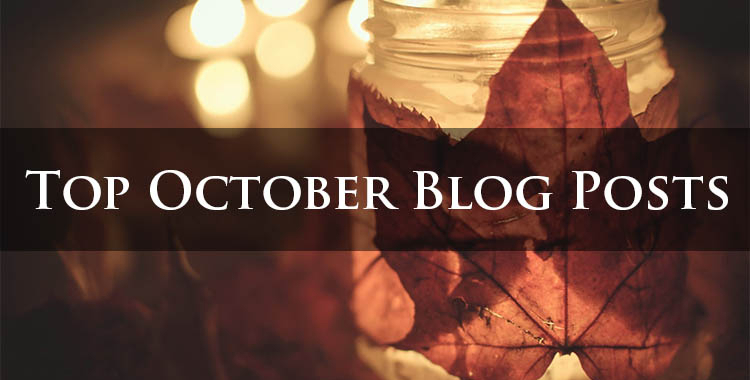 However, making a list of most read October posts we tried to make a contribution to your holiday preparations. Enjoy!